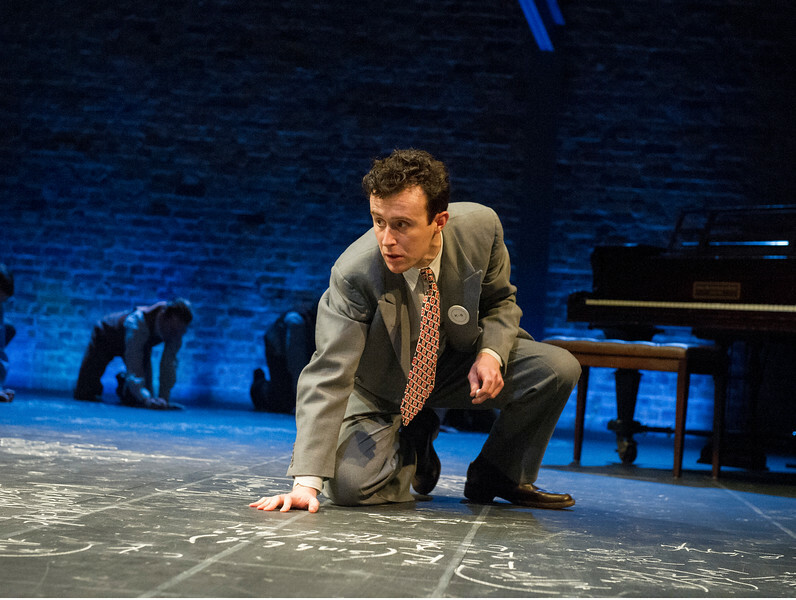 On the eve of the activation of the Large Hadron Collider, two strangers - a journalist and a scientist - share their experiences of loss and hope in a funny but deeply touching one-act play. First performed at The Other Place, Stratford-upon-Avon, as part of the Mischief Festival, 24th May to June 17th 2017. Royal Shakespeare Company, dir: Erica Whyman. A coastline erodes, a house falls into the sea. A mysterious brother and sister arrive looking for answers. Marnie clings to her camera, taking photographs of strangers and places. She has come to say goodbye to a life she never knew whilst her brother Linus is keen to make a fresh start. But when they find Simon and daughter Kelly, reeling in the wake of tragedy, all four lives are to become inextricably linked under the weight of the past. A funny and heartfelt new play about lives lived on shifting sands, In Doggerland is a searching examination of love, family and identity. First performed at Theatre 503, London, as part of LabFest, 13th June 2011. Box of Tricks, dir: Hannah Tyrrell-Pinder. National tour beginning at The Lowry, Manchester, 7th November 2013. Box of Tricks, dir: Hannah Tyrrell-Pinder. Clive Moore as Simon in In Doggerland. Photo by Devin Ainslie. 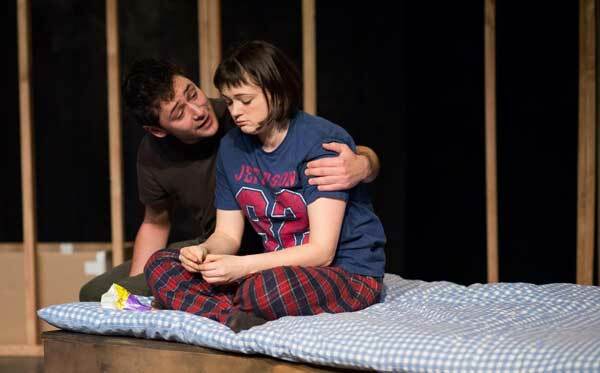 Natalie Grady as Kelly and Benjamin Blyth as Linus in In Doggerland. Photo by Devin Ainslie. Benjamin Blyth as Linus and Jennifer Tan as Marnie in In Doggerland. Photo by Devin Ainslie. Benjamin Blyth as Linus and Clive Moore as Simon in In Doggerland. Photo by Devin Ainslie. 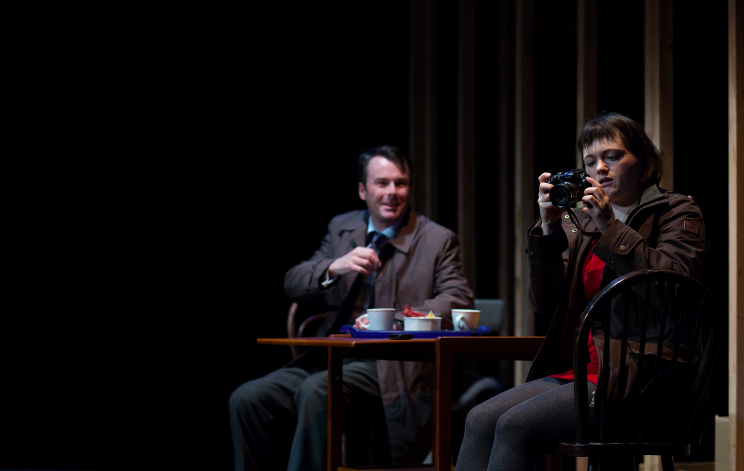 Clive Moore as Simon and Jennifer Tan as Marnie in In Doggerland. Photo by Devin Ainslie. Second Place in the PapaTango New Writing Festival 2012. Maggie has found a warm patch of ground on Horsell Common. She believes something is buried in the dirt. This is the site of the Martian invasion in H G Wells' The War of the Worlds and she sneaks out of the house in the dead of night and dances on the warm spot. Here she meets Behrooz, an amateur astronomer who spends his nights mapping the surface of Mars. A stunning new play about fantasy and sexuality, and about the blurry and indistinct lines between reality and desire. 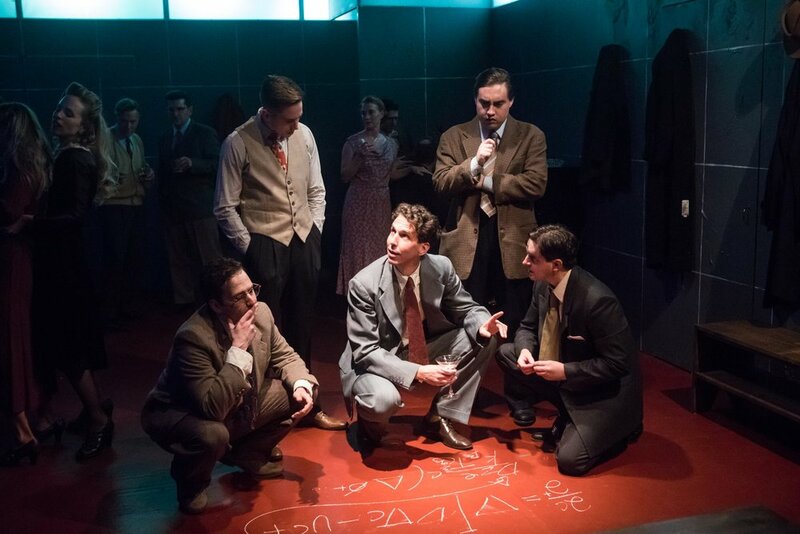 First performed at the Finborough Theatre, London, 5th December 2012. PapaTango, dir: Beckie Mills. Moncef Mansur as Behrooz and Skye Lourie as Maggie in Everyday Maps for Everyday Use. Photo by Richard Davenport. Skye Lourie as Maggie and Harry Lister Smith as Kiph in Everyday Maps for Everyday Use. Photo by Richard Davenport. 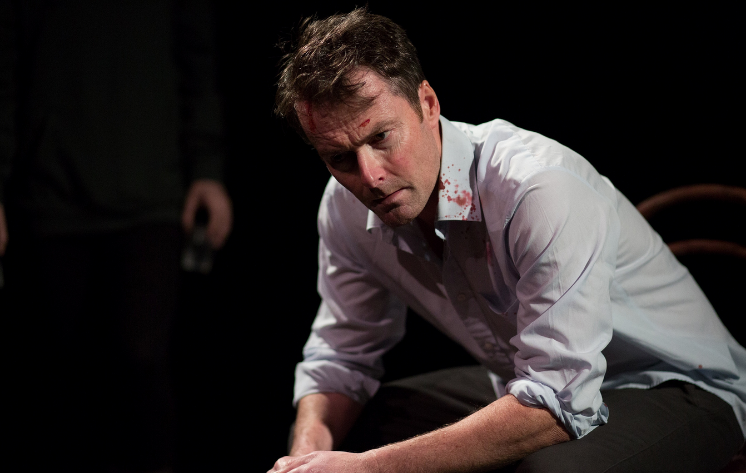 Michael Kirk as Richard in Everyday Maps for Everyday Use. Photo by Richard Davenport. 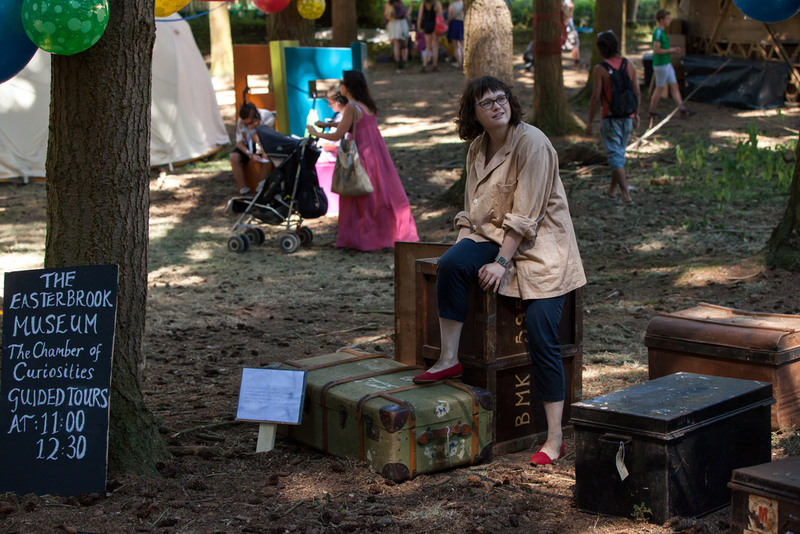 Cosima Shaw as Corinne in Everyday Maps for Everyday Use. Photo by Richard Davenport. Skye Lourie as Maggie in Everyday Maps for Everyday Use. Photo by Richard Davenport. Michael Shelford as John in Everyday Maps for Everyday Use. Photo by Richard Davenport. A collaboration with composer Jon Nicholls. Half documentary, half drama, Blunderbuss delves into the fallout of school shootings, how they are reported and how they go on to inspire others. First performed The Theatre, Chipping Norton as part of Play Festival, 11th July 2009. Fresh Glory, dir: Anna Tolputt. Transferred to the Latitude Arts Festival, Suffolk, 18th July 2009. Fresh Glory, dir: Anna Tolputt. Robin Samson, Liam Gerrard and Andrew Mathys in Blunderbuss. Photo by Jenny Aston. Liam Gerrard and Andrew Mathys in Blunderbuss. Photo by Jenny Aston. The company of Blunderbuss. Photo by Jenny Aston. Andrew Mathys in Blunderbuss. Photo by Jenny Aston. Rhiannon Meades and Francesca Loren in Blunderbuss. Photo by Jenny Aston. Professor Raymond Palmer, a specialist in quantum theory, has disappeared. Those closest to him become subjects in a scientific investigation into his mysterious absence. 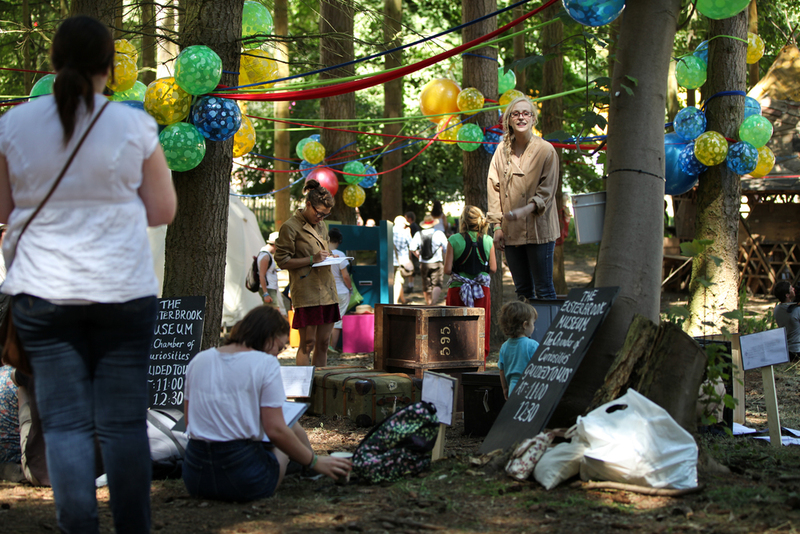 Last seen at Latitude Festival 2008, Uncertainty examines how science helps us explain the unexplainable. First performed at Arts Theatre, London, 14th July 2008. Sincera Productions, dir: John Terry. Transferred to the Latitude Arts Festival, Suffolk, 18th July 2008. Sincera Productions, dir: John Terry. Re-staged at UEA Studio, Norwich, as part of UEA's 50th Anniversary Festival, 28th September 2013. UEA Drama Department / UEA Drama Society, dir: Rob Henderson. The company of Uncertainty. Photo by Tom Morton-Smith. Dylan Singer needs to leave London. With his alcoholic ex-fiancée he heads to Central Asia, to research the book he's always dreamt of writing. But it's 2002, the height of the War on Terror, and Uzbekistan isn't the belly-dancing opium den they have been led to believe. From 11th Century Samarkand, through the Great Fire of London, to a disused weapons facility in the remotest place on earth, Salt Meets Wound is an epic odyssey spanning a thousand years. First performed at Theatre503, London, 8th May 2007. 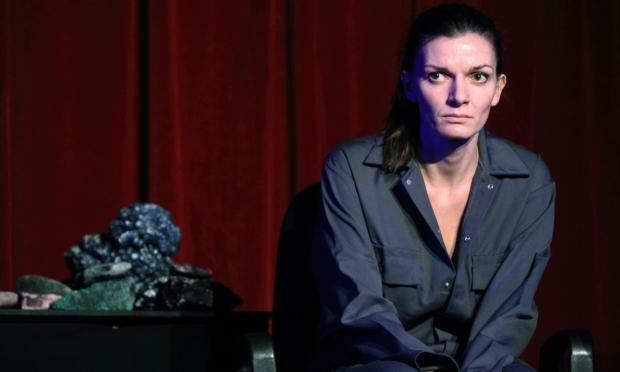 Theatre503, dir: Paul Robinson.